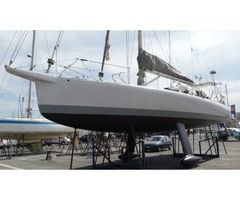 VOILIER HAUTURIER CROISIÈRE RAPIDE PLAN JEAN PIERRE BROUNS MODELE : BOUTEFEU. CONSTRUCTION RED CEDAR /CARBONE UN VOILIER POUR ALLER LOIN CONFORTABLEMENT, SEREINEMENT ET RAPIDEMENT. VOILIER DE VOYAGE SIMPLE , PERFORMANT, UNIQUE.